Clear Dental in Chatswood is an approved providers of MySmilePlan! 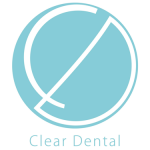 The team at Clear Dental Chatswood are devoted to providing you with complete dental care for a healthy smile. They provide all of the standard treatments such as cleaning and whitening, as well as children’s dentistry and more advanced services including root canal, veneers, Invisalign, and more. All of the staff at Chatswood dental centre are committed to providing excellent medical care as well as friendly and professional advice that you can rely on. They are open every day of the week, from 9am to 6pm, except for public holidays. Call today on (02) 9411 5663 to talk to their friendly staff.